Spell checker class for REAL Studio. Is there a better alternative to Spell Checker? Is Spell Checker really the best app in Libraries category? Will Spell Checker work good on macOS 10.13.4? 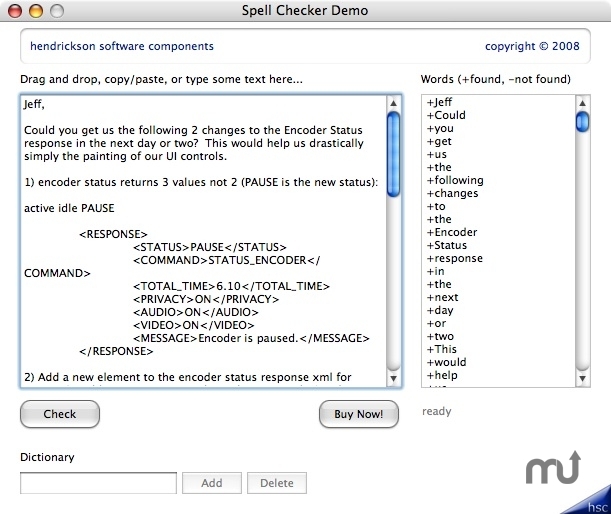 SpellCheckerOSX is cross-platform spell checker class for REAL Studio (REALbasic). Versions also available for Windows, and Linux. REAL Studio (REALbasic) version 2006 or better. Spell Checker needs a review. Be the first to review this app and get the discussion started! Spell Checker needs a rating. Be the first to rate this app and get the discussion started!